In accordance with Universal laws and in particular the Law of Attraction, the way in which we think and the thoughts that we hold most strongly in our Minds have a most profound effect on our lives in almost every way, and indeed much more so than most people might realise or believe, this is why learning the power of positive thinking is so crucial. To many people a thought is something intangible in that it cannot be seen or even measured as a thought by scientific instruments. Nevertheless, thought, like everything else in the Universe is Energy, and Energy influences other Energy. All thought is vibration, Energy, and therefore a cause will always in turn, without any exception always yield a corresponding effect upon the appropriate plane. When a person is feeling worried or negative about something they will often be told to "think positively". Neither the well meaning person who proffered these words or the person for whom it was intended or the recipient of those words will usually truly appreciate the very considerable significance and profoundest importance of this excellent advice, which are often simply dismissed as mere sentiment. 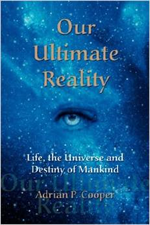 In my book, Our Ultimate Reality we look at the structure of the Universe and how we can all affect our own lives, those of others and indeed the Universe as a whole by the way people think and apply the imagination and other powers such as emotion. This is because everyone without exception is an integral aspect of the Universe, The Source, of God, and also most importantly in this context of the Energy of the mental plane of the group human Mind. The power of positive thinking will become highly apparent as you progress through my book. The laws of attraction and correspondence are always in operation whenever we project thoughts, ideas, emotions and anything at all involving our imagination. In all spheres of life, including the physical world, like always resonates with like; if you therefore focus on something negative it will result in the resonation of the corresponding negative Energy, in turn resulting in the attraction of more of the same negative Energy and corresponding negative circumstances, in other words negative effects. Of course, the very same principle also applies with positive thinking; positive thinking will always result in the resonation of positive Energy, in turn attracting the corresponding positive results. Thinking about lack results in more lack, thinking about abundance results in more abundance, such is the way of the Universe; the power of positive thinking should never, ever be underestimated. 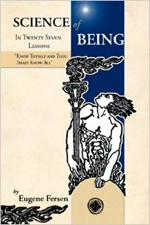 It is for these reasons that the wealthy often become even wealthier and the poor often become even poorer; everyone is constantly creating their own reality in exact accordance with the way they think and perceive their own existence and reality, whether it is from a positive or negative perspective. The power of positive thinking and its associated thought Energy will, through the level of the group human Mind, influence the Mind of the interviewer in your favour. This is why many successful business people almost always succeed in consistently winning large business deals; they always know beyond any doubt in their own Minds, even before they enter into the initial negotiations that they will certainly win the deal without question. The thought of not winning such a deal never even once enters the Mind of the business person, they simply know it as a forgone conclusion. Exactly the same principle applies within life in general; only by thinking the most positive thoughts while excluding all negative thoughts, and by imagining the most positive things happening in your life with as much emotion and positive Energy as possible at all times, will you attract only those most positive things you truly desire. The solution to these situations is to break out of the self-created vortex of negative thinking and to start thinking only in the most positive terms at all times. It is particularly important to go to bed at night thinking only the most positive thoughts, never dwelling even for a minute on any situation in negative terms. Just before sleep the link to the subconscious Mind, which in fact is by far the largest aspect of Mind, is particularly powerful, and will in turn influence the Energy of the inner planes of life and reality, which in turn once again will sooner or later manifest into physical reality. Always therefore think in terms of plenty as if all genuine needs have already been met. As previously mentioned, it is most important to know beyond any doubts whatsoever that whatever you desire and focus on will already become your reality in the inner worlds, and which realities therefore must also manifest into your physical world in accordance with the Universal laws of attraction and correspondence; "as above, so below, as below, so above". The Mind Power Studio suite includes all of the tools necessary to create affirmations both on a liminal and subliminal level to reinforce this level of positive thought. Within the inner spheres of life and reality where thought Energy takes shape, there is no concept such as space or time. Our positive thinking Energy will therefore first of all influence the corresponding Energy of the Universe before manifesting, under the influence of thought as a desire in the inner Energy realms of the Universe beyond the limitations of time and space, subsequently, in immutable succession, manifesting into the material world in the same way. As space and time simply do not exist in the inner Universe, creating these positive Energy in the present tense where they have their effect beyond the confines of space and time, they must in turn, in immutable succession eventually manifest into your physical world and reality, and not simply something which might or might not occur sometime in the future. In conclusion, always but always think positive thoughts in the direction you wish your life to go by using your power of positive thinking, and do so with as much focus of Energy, knowing and emotion as possible. These thoughts, whether specific to a particular need or for an ongoing aspect of your life must always be present in your Mind as if they have already completely manifested into, and are already an integral aspect of your present reality, a fact of which you must be completely certain beyond all doubt. It really does not matter how dire life might seem to be at any particular moment, it is extremely important during every waking moment to think as positively and with as much Energy and emotion as possible that everything you desire already exists within your life, and that you are now enjoying it to the maximum possible extent. Never, ever let a negative thought dwell in your Mind, particularly before sleep, or give such a thought any Energy whatsoever; immediately convert any negative Energy into the corresponding positive Energy. Notwithstanding immediate needs and situations, always think, focus and concentrate and exercise your power of positive thinking about everything in your life, and in turn your life will only bring you positive results, this is The Law of the Universe. Most importantly, always feel the deepest gratitude for how perfect your reality really is, always giving thanks to God with absolute sincerity.